Article 1: The Color Varieties of the Cuba 1855 1/2 Real The two printings of this stamp show a wide range of color varieties. The article includes a page discussing the first issue of the Spanish Antilles, which I refer to as the Cuba First Issue 1855-63. Article 7: The Plating of the Cuba 1864 1 Real I am able to plate 168 of the 170 positions. 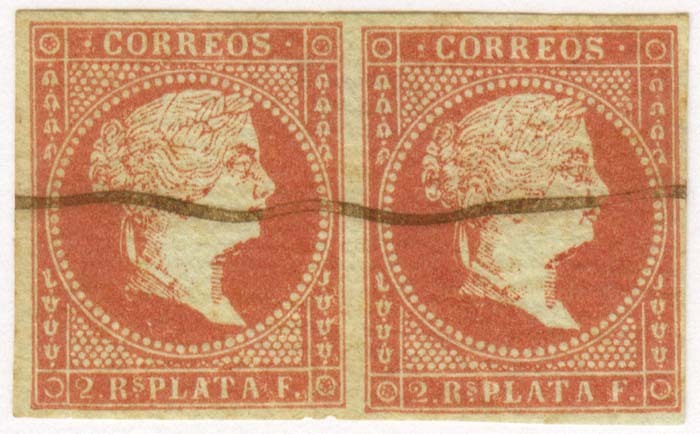 This article also includes images of the Cuba 1864 Issue, a web page dedicated to the path I followed to plate this stamp, the two RL positions, several distinctive positions,and plate positions with reduced periods in the lower legend. Article 36: Postal History of the Cuba First Issue Part 1This article is divided into three major sections: Covers with the 1855 and 1856 Baeza postmarks, Covers with smaller postmarks of varying design, Covers from the 1860s with the small, and final postmarks. I include one cover used in Puerto Rico, as well as a family letter from 1856 with a poignant and interesting tale. Article 46: Postal History of the Cuba First Issue In yet another installment of the postal history of this issue, I show the basic cancellers, and focus on some covers from the ramirez y oro correspondence, including a postal forgery on cover, bayamo Baeza postmarks, and cauto region modified Baeza postmarks. 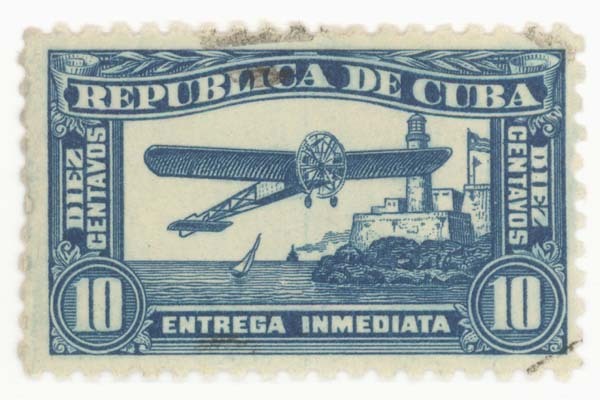 Article 51: Cuba 1855 Havana Mails Issue ("I Griega") The first issue of the local mail of the city of Havana consists of four very rare stamps. I show here the two printed with the taller, thinner Y. The thicker Y issues, also printed in these two colors, are considerably scarcer. The overprint plate consisted of 7 top rows of thin Y stamps, and three bottom rows of thick Y stamps. The plate consists of 10 rows of 17 stamps. Quick links here are for a page showing side-by-side the three carmine red specimens and the single orange specimen I have that I consider genuine. Each of the specimens also has its own page that enables to show the overprint under higher magnification: carmine red specimen 1, pictured below, bears a Habana circular postmark, and there are also carmine red specimen 2, and carmine red specimen 3, as well as a dedicated page for the orange specimen pictured here. I also include a filtered image of the overprint, and a page dedicated to forgeries, one dangerous, and one crude. Article 56: Cuba 1958 Poey Natural History Issue This commemorative issue is very appealing. It has beautiful depictions of butterflies and fish. Below is a large image of the scarcest value of the series, the 20c Special Delivery. I include here quick links to the series mint, and used-mostly CTO since this issue saw almost no genuine postal use. Article 77: Cuba 1864 Issue Here I show the major values in blocks of four, the color varieties of the 1/2 real on salmon, 1/2 real on white, 1 real, and 2 reales. The 1/4 real was printed in a small run and seems to have just one color: black. I also show specimens cancelled with the regular canceller and other cancellers. Article 120: Cuba 1868 10 Centimos The 1868 10 centimos stamp is a one-year issue stamp. Quick links: images of the center design, details of the top and bottom legends. Article 187: Cuba Montreal Olympics of 1986 Issues Cuba issued two series for these olympics. The first series was issued before the event, and the second series was issued after the event, and highlights the athletes who medaled. Both series have sourvenir sheets. Article 290: Cuba Ship-building Stamps Naval construccion from the 17th century to the present is highlighted in these stamps from Cuba.